The post-Argo world hasn’t been too kind to Ben Affleck. Ever since he stepped up onto that stage and clutched his Best Director Oscar, he’s become somewhat of a villain in the eyes of the Hollywood elite. I’m not saying that’s a problem, as far as I’m aware his only good work comes from the aforementioned Argo and Good Will Hunting. So to see him unsuccessfully don the Batman role and direct the apparently appalling Live by Night, isn’t something that keeps me up at night. But I can’t imagine Triple Frontier is the film that will relaunch his career, nor will it excel the careers of other leading lads, Oscar Isaac and Charlie Hunman. Really, when it comes down to it, you don’t go to Netflix for an action movie. But they’re insistent on trying it, maybe because the Hollywood action blockbuster has all but died out. So, for the sake of beating a dead horse, Netflix bring us the action movie that’s oddly light on action: Triple Frontier. Action movies have really adapted over the course of the last few decades. The 60s and early 70s brought a variety of spaghetti westerns, with the likes of Butch Cassidy and the Sundance Kid, The Good, the Bad and the Ugly and, of course, True Grit. The late 70s and 80s changed this entirely, with futuristic action films like Robocop and The Terminator or Vietnam-style explosions with Commando and Platoon. These were the glory days of action, because if we skip to beyond that point, we come to a consistently serious tone that just doesn’t seem to go away. Netflix’s new output is no different, a bland and empty shell of an action movie with the only merit being the enjoyable performances from the leading cast. Surprisingly, given how bland it is, I still enjoyed it somewhat. 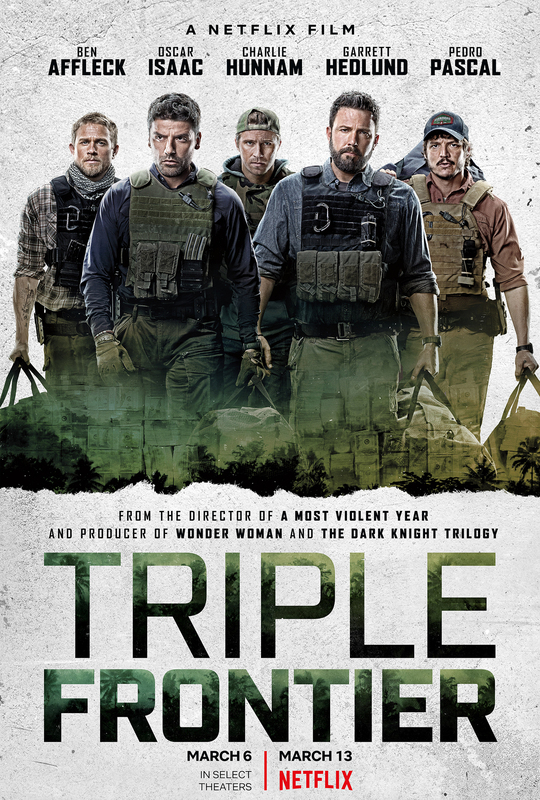 Not as much as I would’ve enjoyed, say, an ice-cream, or being waterboarded, but I still had a soft spot for Triple Frontier when it was over. Isaac and Pedro Pascal, in particular, make this experience a bit less gruelling to bear. Isaac is quickly becoming a personal favourite of mine but he seems set on ruining that these past few years: there are only so many times I can go back to Ex Machina to reaffirm my faith. J. C. Chandor’s direction is a tad problematic. Not in the sense that there are any major difficulties, just that it’s not interesting in the slightest. His focus on the relationship between this band of mercenaries, rather than on the action, is the biggest issue. The film is shallow, but I wouldn’t have minded that if there was enough action to string together these boring story scenes. Instead, it goes for the same route as Clear and Present Danger, which is based on the idea that action cinema addicts want to see men talking for a while and then an explosion. It’s strange, the blandest and emptiest of films are often the ones I have the most to say on. Triple Frontier is lost in a purgatory-style area where I’m at a crossroads of whether or not to recommend it. The same happened for The Dark Knight Rises, a film so bland it put me off of Tom Hardy for years. But Triple Frontier for a *Netflix* movie, is good. 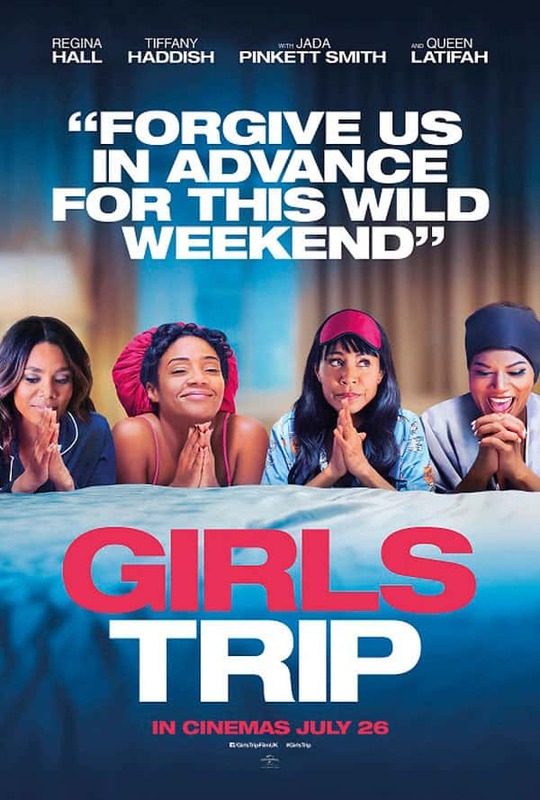 For a regular movie, it’s just okay, but I’m giving Netflix the benefit of the doubt on this one out of sheer pity. A movie so good you’ll almost not prefer a waterboarding alternative. Stick that on the press release, Netflix.